In modern times, the energy saving and environment protection have been the guideline for the current mining industry in China. 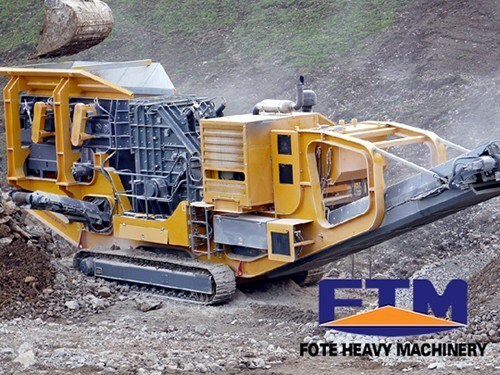 In order to construct the ecological civilization, the domestic mining machinery manufacturers keep making efforts to establish the energy saving and green industrial structure, developing pattern and consumption mode. The Chinese government also has stricter requirement about the high energy consuming industry. For example, combining the modern cement production technology with the Chinese developing status of the construction clinker base and the grinding plant, the government proposes the energy consumption index for the cement mills, which makes us pay attention to the energy consumption problem of the clinker and power. For mining machinery enterprises, they start to improve the design of the compound crusher, thus giving security for the detection and supervision processes. To be specific, companies like us have made a new technology improvement, namely reducing the primary air consumption of the burner to less than 15%. In addition, we need to face up to the progress we make in the heat efficiency of the entire system and try to complete the energy index of the burning system. Moreover, our technicians stress the energy saving feature of the compound crusher in the construction industry. We strengthen the exterior wall external insulation measures and make detailed plans of the energy consumption improvement of every part. In order to realize the energy saving and environment protection indexes of the compound crusher, we need not only to complete the related laws and policies, but also put the energy saving and emission reduction in to practice in our daily life.